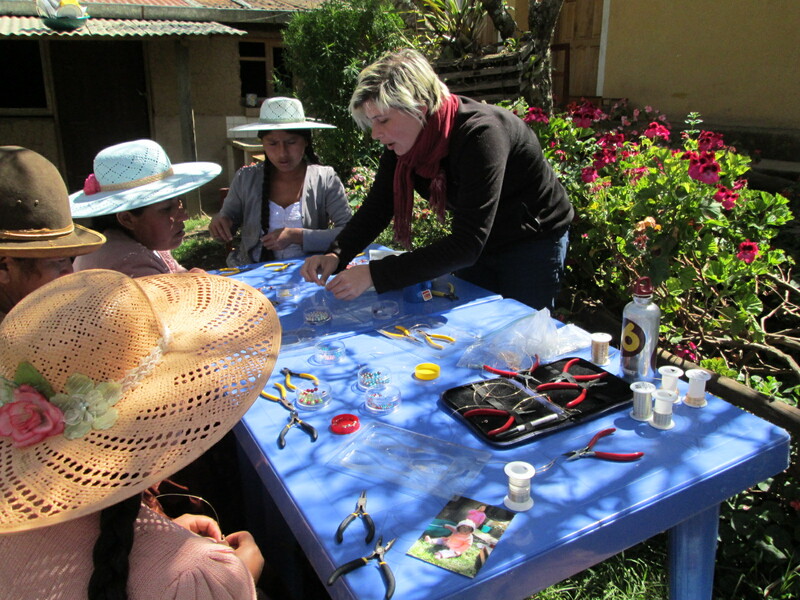 The Club de Artesanas is meeting once a week in Independencia with Doña Maxima at the helm. All will be surprised and pleased when I return in 3 weeks with Bozeman friend, Marian Leishman. Marian was raised in rural Montana and can quilt, sew, crochet, knit, and fix anything. The list of projects she can spearhead exceeds the time she can stay, but if she doesn’t sleep and if she quilts, sews, crochets, and knits nonstop producing samples the women will be able to do new projects long into the future without assistance. 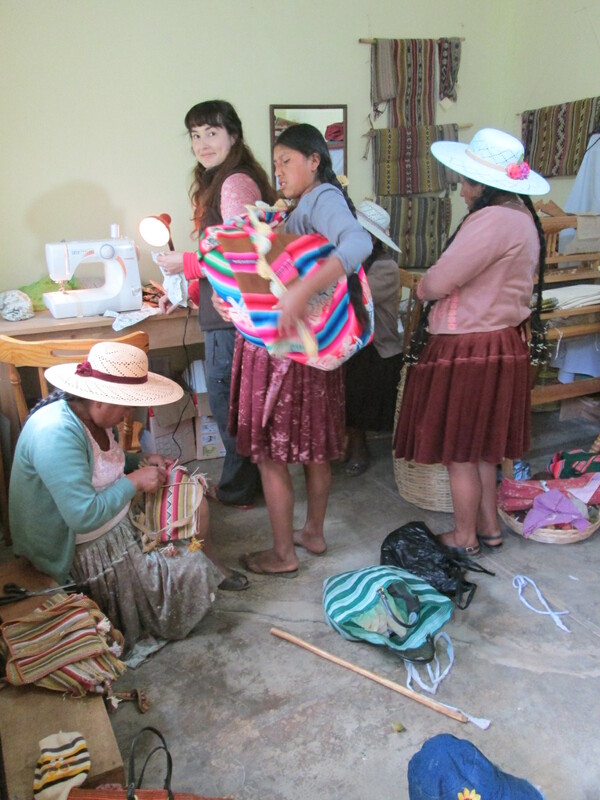 and last year she held a fundraiser to help us get to the Tinkuy Weaving Conference in Cusco. She is on WARP’s Board of Directors and volunteers her time to manage WARP’s social media networking. 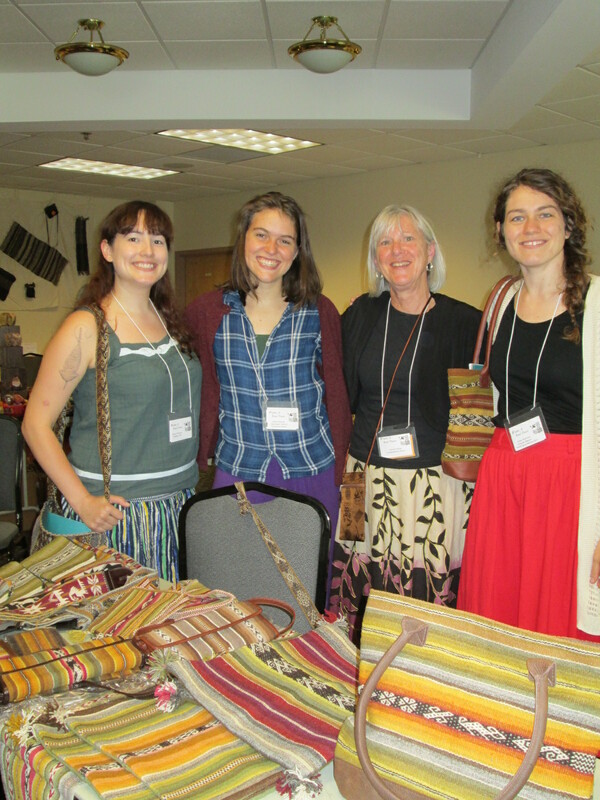 Selina Petschek volunteered in Independencia last year and was a Helen Brown Memorial scholarship recipient allowing her to attend the 2013 WARP Conference in Manchester, NH. She is in Argentina wrapping up her junior year of university. She and her mother will be traveling to Independencia in July so she can dance in the Fiesta del Virgen de Carmen with me. Because it will be vacation, the chicas will be knocking down the door when we’re not dancing to get Selina’s help on crochet and knitting projects. 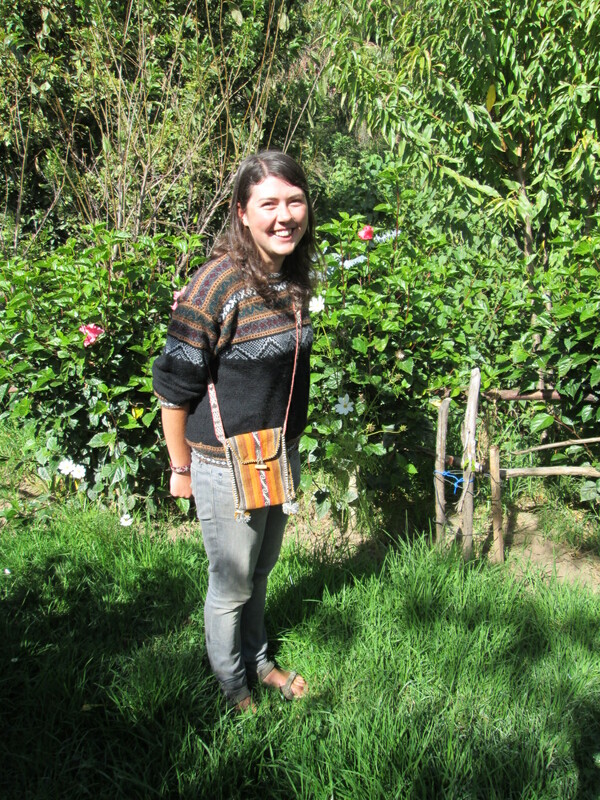 Alli Tolbert, who was a PAZA volunteer in 2011, flew to Ecuador last week as a Peace Corps trainee. Peace Corps training lasts 11 weeks and each newly sworn-in volunteer is posted to a site for 2 years. 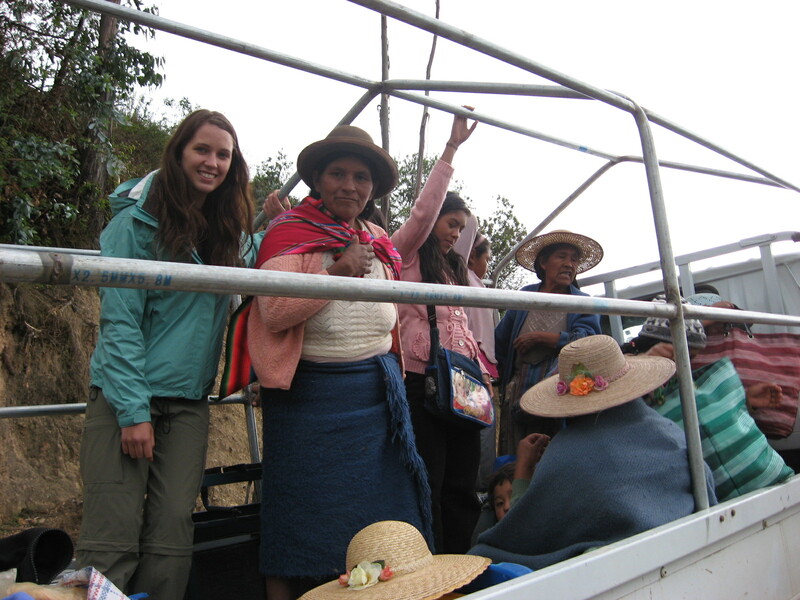 I’ve had flashbacks to that memorable day I flew to Bolivia in 2006 with my fellow Peace Corps trainees. I’m so proud of Alli for making the commitment. It is a life changing experience and the Peace Corps network is forever. Alison Walsh who was in Independencia working with us through my last few weeks before this trip made good use of the resources in our library. She wrote from Peru to say she felt she was living the books she’d read which were written by weaver Nilda Callañaupa, Director of the Center of Traditional Textiles in Cusco. She also said she was taking a dyeing and weaving class and the teacher was very interested in the weaving techniques used in the chuspita Alison had made in Independencia. 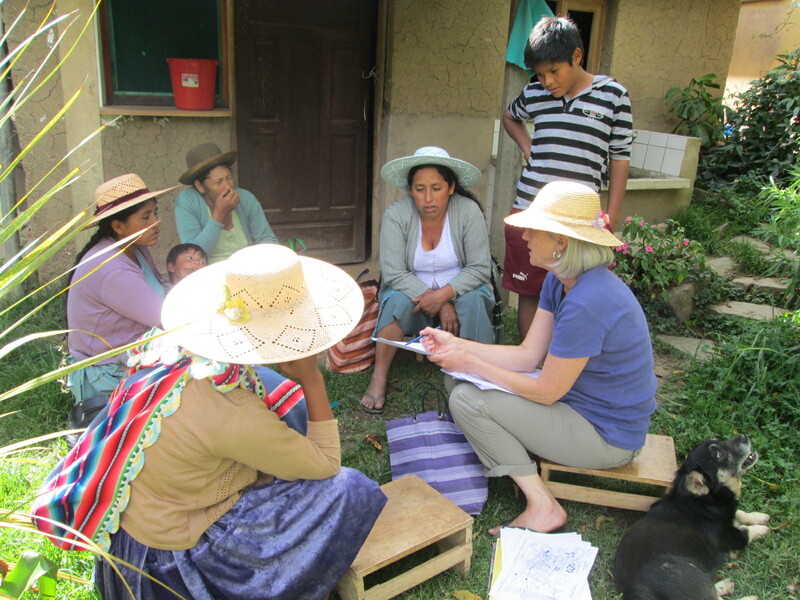 The volunteer program plagiarized a Peace Corps objective which is to offer cultural and technical exchange, and it was exciting to read how Alison is taking it onward.